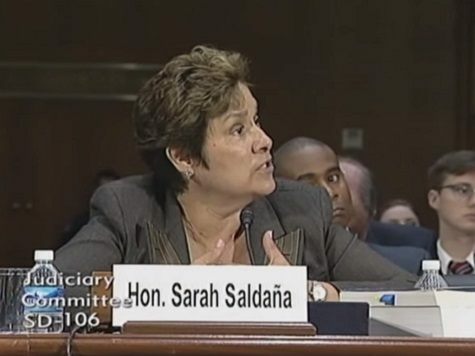 President Obama’s Immigration and Customs Enforcement (ICE) director tells lawmakers that no consequences are planned for sanctuary cities until Congress first passes “comprehensive immigration reform.” Sarah Saldaña testified before a Senate Judiciary Committee hearing on criminal alien violence. After hearing emotional testimony from families torn apart by illegal immigrant murderers, Republican members of Congress grilled two administration witnesses: Leon Rodriquez, Director of United States Citizenship and Immigration Services (USCIS), and Sarah Saldaña, Director of Immigration and Customs Enforcement (ICE). Both Rodriquez and Saldaña have been tasked with carrying out President Obama’s executive amnesty for so-called DREAMers, which includes work permits and medical benefits for low-income illegal aliens funded by citizen taxpayers.